Fritillary and Swallowtail enjoy the nectar of this thistle. What an amazing capture! 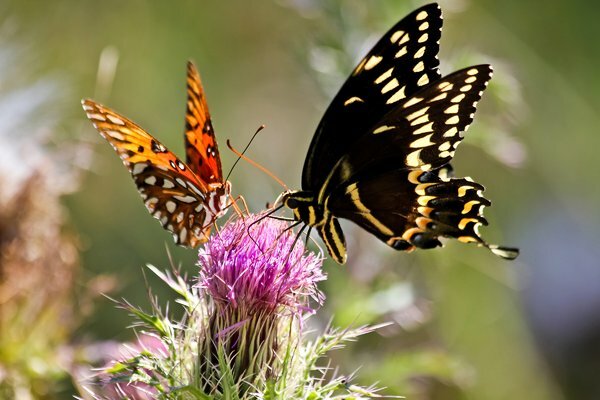 It's hard enough to get a shot of one butterfly, let alone two together!